If a Qatar stadium can be air-conditioned, can a livex ship be dehumidified? FOOTBALL fans will be kept comfortable in desert stadiums during the 2022 Football World Cup in Qatar with technlogy that pumps cold air created by chilling water in tanks overnight into the event’s eight arenas, including the recently reonovated 43-year-old, 40,000 seat Khalifa International Stadium. 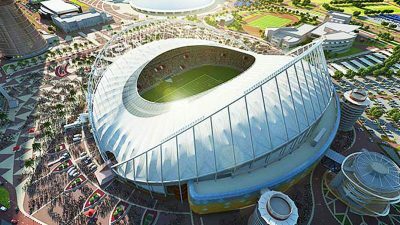 The Khalifa International Stadium is one of eight open-air stadiums in Qatar that will use cooling technology to keep 2022 World Cup crowds comfortable. If it is possible to air-condition large open-air stadiums on the Arabian Peninsula, is it possible to dehumidify a live export ship? Improving conditions on live export vessels is not just about managing heat but humidity loads as well. High humidity is a key factor which can cause heat stress to livestock on journeys that cross the equator. LiveCorp has been looking into the potential of developing dehumidification technology for live export vessels for well over a year. At its AGM last year it said some of the surplus funds generated by increases in the volume and value of livestock exported in 2017-18 would be directed to fundng new research into on-board animal welfare. It announced it had commenced its first ‘Open Innovation’ project, which involves seeking out external expertise to drive innovation, to explore new and emerging technology solutions to manage the on-board environment, including dehumidification to reduce heat stress for animals on live export ships. That work has now received a boost through a new $2.2 million Federal Government grant announced by Minister for Agriculture and Water Resources David Littleproud. 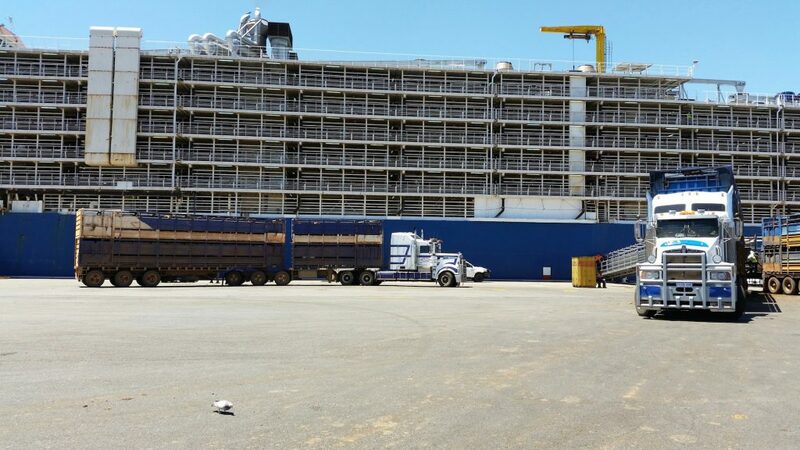 Mr Littleproud said a trial will soon be undertaken to test dehumidification technology on an empty livestock vessel in the Middle East to assess whether it can become a commercial reality on live export ships. “Potentially, this research could produce results which help other parts of agriculture,” he said. The $2.2m funding boost from the Federal Government should help to accelerate LiveCorp’s existing research. Mr Littleproud said the results of the initial trial should be back long before the self-imposed June through August ban on sheep exports ends this year.